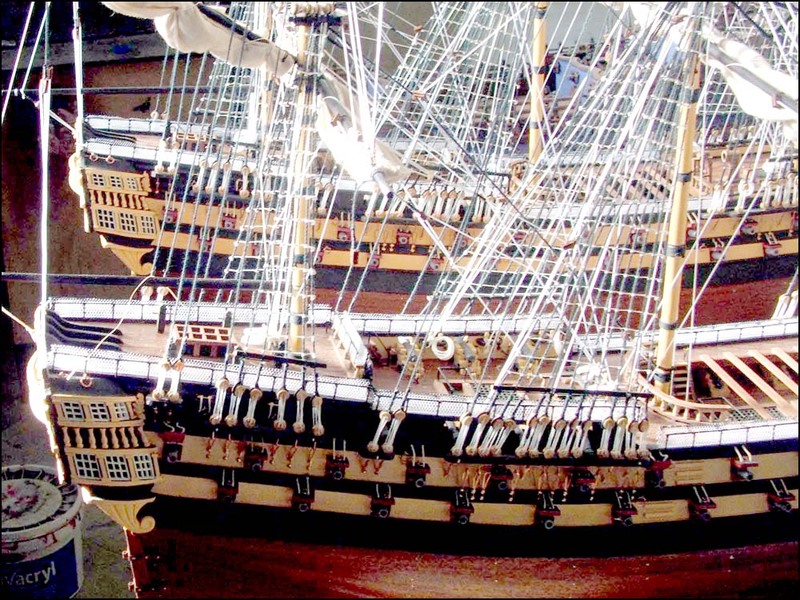 This is a copper pinned wooden plank on frame ship model of museum quality. This Santa Maria ship model is a unique Spanish gift idea for him or for her who has an interest in naval history. The Santa Maria was part of the fleet of Christopher Columbus on his first trip to the discovery of the Americas. Her master and owner were Juan de la Cosa. The Santa Maria was a carrack-type vessel and was used as the flagship for the expedition. The other ships of the Columbus expedition were the caravel-type ships Santa Clara, remembered as the Niña ("The Girl") and Pinta ("The Painted"). All these ships were second-hand vessels and were never meant for exploration.